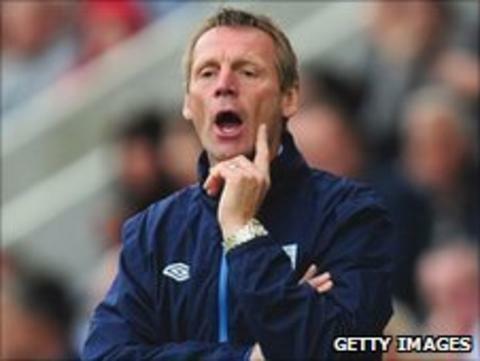 England Under-21 head coach Stuart Pearce has signed a new two-year deal. Pearce's new contract comes despite England's failure this summer to advance past the group stage of the European Under-21 Championships. But FA chairman David Bernstein pointed to an "excellent" qualifying campaign as well as Pearce's ability to prepare young players for the rigours of senior international football. Pearce led England to the final of the 2009 European Under-21 Championships. The former England, Nottingham Forest and Coventry left-back also works as a member of Fabio Capello's staff coaching the senior squad. Pearce said: "I am delighted to have signed my new contract and to be able to continue in a role I very much enjoy. "In my time with the England Under-21s we have experienced an excellent record and my aim now is to qualify for Israel in 2013 and hopefully go on to secure silverware with another exciting group of young players. "It remains a privilege for me to represent my country and contribute to the FA's work at international level." FA chairman David Bernstein added: "Continuity is vital as we continue to build our club ethos, and Stuart is an important member of the England coaching structure. "I know he was as disappointed as anyone at the Under-21s' most recent tournament results at the European Championships in Denmark, but we mustn't forget the team had an excellent qualifying campaign and continues to produce young players ready and prepared for senior team experience." The Under-21s will begin their qualifying campaign at home to Azerbaijan in September before trips to Iceland and Norway the following month.